Renewable energy is one of the sustainable ways of saving our planet and mankind. The African continent has a huge potential to harness solar energy in particular. Recently, Ugandan company Kiira Motor launched a Kayoola prototype of solar powered electric bus in Uganda. A solar panel situated on the roof of the 35-seater bus charges one of the two batteries. Concepts of solar cars have also been brought up in Nigeria and South Africa in the past. These were really an inspiring development of a clean energy-powered transportation in Africa. In recent years, the Ghanaian technology industry along with its tech university has experienced a pretty good revolution in the field of new inventions, to help in improving the people’s lifestyle and overall environment. More start-ups got inspired in Ghana and showcased their latest innovations to help ease the way people live life. Great strides towards harnessing the fortunes of all, as a positive initiative, the Ghana's first satellite was shot into space from Japan recently and this solar powered vehicle is slowly taking the Ghanaian into the front line. 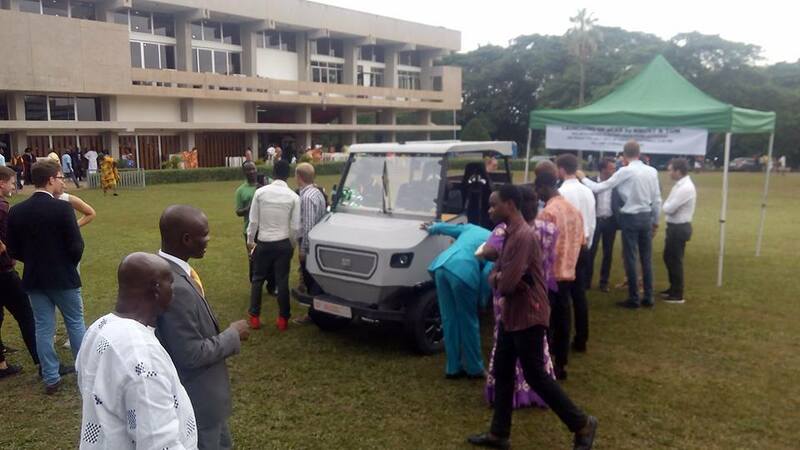 Now, the students of Ghana’s Premier engineering university, the Kwame Nkrumah University of Science and Technology (KNUST) and the Technical University of Munich have developed a solar powered 4x4 vehicle to boost the renewable energy-led transportation in the country, reports the Daily Graphic. It was recently inaugurated by the Asantehene, Otumfuo Osei Tutu II, at the 51st congregation of the KNUST, Kumasi. 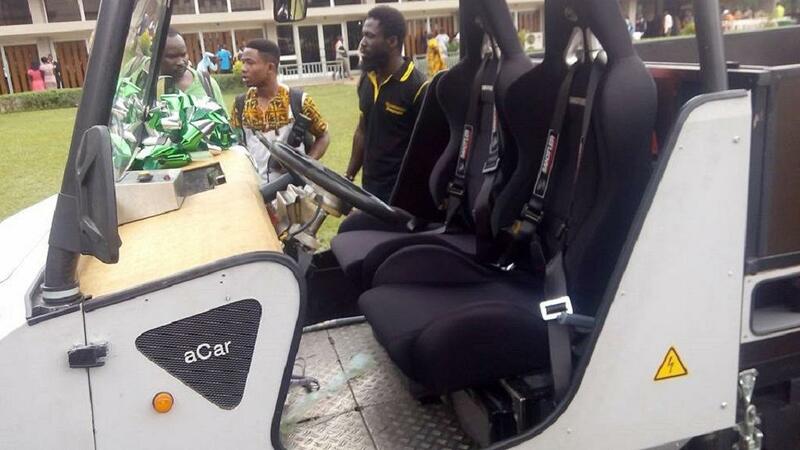 The solar vehicle, developed by the Departments of Mechanical Engineering and Physics, is still being tested to bring it to standard and aims to manufacture on the African continent. Recently, other inventions of the University’s College of Engineering includes an open-space fire detector, solar-powered traffic lights, and drones to boost the country’s innovative culture, said Prof Obiri-Danso. People run fuel based cars which rely on either diesel or petrol, a few others use LPG. The natural resources rich Ghana discoursed oil along its western coast, but still, it needs to import refined fuel for industrial and commercial use. 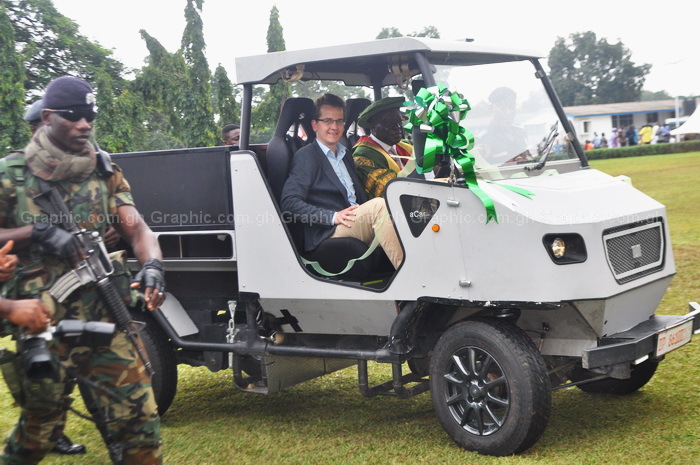 Inventions of clean energy powered vehicles like a solar-powered 4x4 vehicle, will not only curtail import but will be become a trend setter in the country and African continent as a whole.